Promotion Sale Alert! 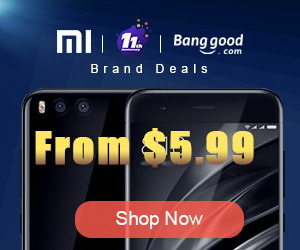 You can now buy LEAGOO S8 Dual Front & Rear Camera 3GB RAM 32GB ROM Smartphone from Banggood.com for only $125.99 with free shipping world wide (regular price: $169.99). Promotion Sale From December 3 to December 11. Meet LEAGOO S8 Smartphone. LEAGOO S8 features an amazing full-vision screen with 1mm ultra thin bezel. The 18:9 screen design and 85% screen-to-body ratio lengthens your vision range, bringing the most immersive experience ever into your eyes. With top-notch CNC frame metalwork and gracefully crafted rear cover, LEAGOO S8 offers an ever-more comfortable grip and stunning eye-catching attractions, making it the most exquisite combination of industrial design and material science. With a sharp 1440 x 720 HD Plus bezel-less screen covered by Corning Gorilla Glass 4, LEAGOO S8 allows the complete representation of every detail, giving you an incomparable and exquisite image, and clear pictures. LEAGOO S8 pursues amazing visual performance for your eyes, and extreme comfort for your hands. That’s why we fit a 5.7” screen into a slim body less than 69mm to catch sight of your whole world on the palm of your hand! Owing to quad cameras, LEAGOO S8 is your new master of both selfie and photography, satisfying your needs for impeccable images. With SONY® 13MP + 2MP rear dual cameras and F2.0 larger aperture, LEAGOO S8 lets in more light, 20% more than F2.2 aperture, thus allowing you to shoot in lower light and go explore a fresh new world at night. Besides, bigger aperture can also bring you greater depth of field, better picture clarity and faster focus, etc. Equipped with OV 8MP + 2MP dual front cameras, LEAGOO S8 allows you to catch sight of objects in more excellent details, making it a piece of cake to capture and memorize every amazing moment of your life! The Fingerprint sensor used on LEAGOO S8 offers an unmatched unlock speed. Its Smart Touch technology and independent ISP are optimized for lightning response in storing and processing fingerprints. The more you use it, the faster your touch response. LEAGOO S8’s 2940mAh battery is both stable and durable due to the new type of high-capacity lithium core. After 500 times of charging and discharging, at least 80% of its initial rated capacity is still retained in the battery and its service time is twice than that of common ones. 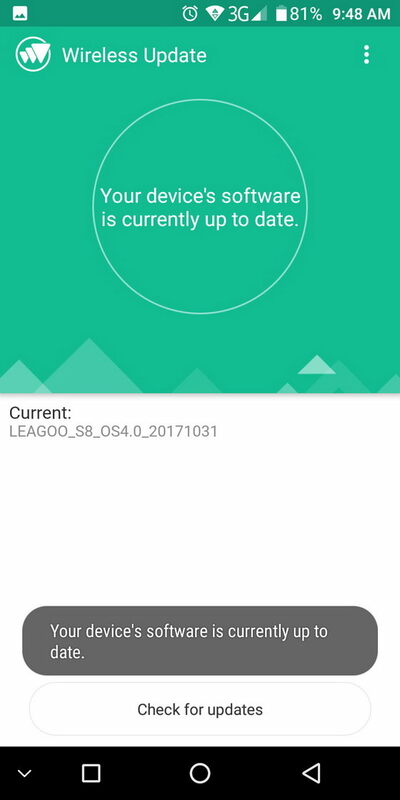 LEAGOO S8 also supports 5V2A quick charge powered by both hardware design and software optimization. In this way, you can enjoy your phone without any stop. 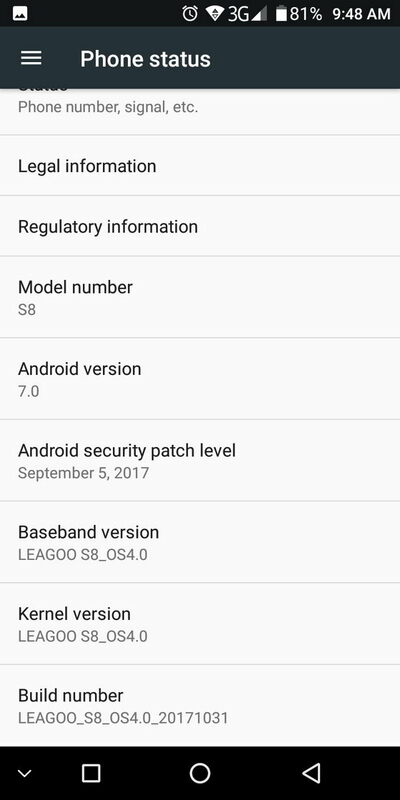 Here you can read about the unboxing of LEAGOO S8 smartphone. Available features: Dual SIM (Nano SIM + Nano SIM), Radio FM, WiFi, WiFi Hotspot, Bluetooth 4.0, A-GPS, GPS, Microphone, Dual Front Camera & Dual Rear Camera, Front & Rear Camera Flash, USB Host, OTA Sync, Leagoo App Store, Scheduled Power On & Off, Printing, Voice Search, Sound Recorder, Calculator, FlashLight, Airplane Mode, App Widgets, Audio Jack Output, USB Accessory, OTG, Multitouch, NavigationBar, LED Light, Google Play Store & gapps, Adaptive brightness & Audio Enhancement - BesLoudness, VoLTE, Tethering, Computer Sync, A2DP (Advanced Audio Distribution Profile), Fast Charging. 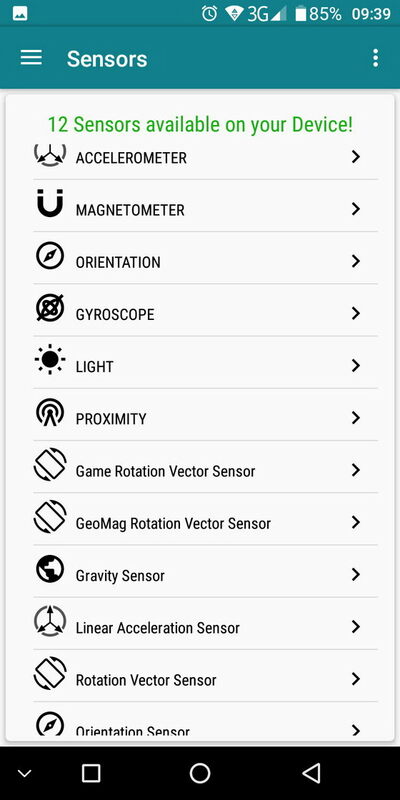 Sensors available on device: 16 sensors on board: Battery, GPS, WiFi, Accelerometer, Magnetometer, Orientation, Gyroscope, Light, Proximity, Game Rotation Vector Sensor, GeoMag Rotation Vector, Gravity, Linear Acceleration, Rotation Vector, Orientation & Fingerprint. 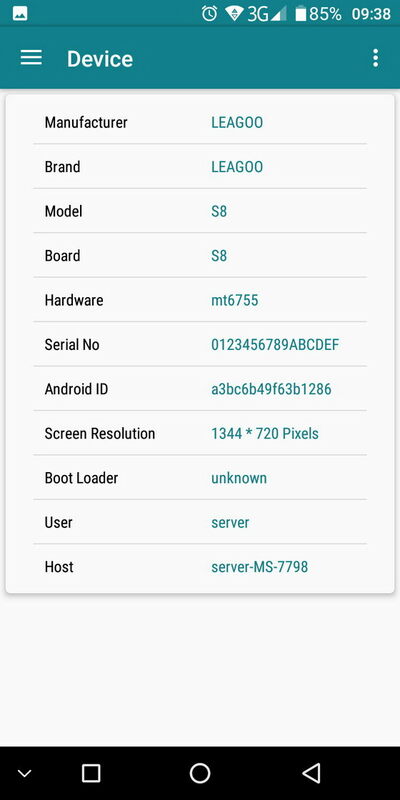 MediaTek MT6750T Octa-Core 64 Bits : 4x 1.5 GHz ARM-A53 Cortex - 4x 1.0 GHz. Framework: ARM Cortex-A53. Technology: 28nm. Cameras. Main Rear Camera: SONY:IMX258, 13MP AF. Focus type: AF+FF. Lens: 5P. Flash led: yes. Sub camera: 2MP, GC2385, 2P lens. Main Front Camera Sensor: OV8856, 8MP FF. Pixel area: 1.12um*1.12um. Lens: 4P. Aperture: FNO:2.0. Flash led: yes. Sub camera: 2MP, GC2385, 3P lens. Enjoy Capturing! Display. SHARP 5.72” HD+ IPS Resolution 1440*720 (18：9). 2.5D curved glass screen. Screen-to-body ratio: 85%. Bezel Thickness: 1mm. Pixel density: 282ppi. Effective Area: 120.96*68.04mm. Panel technology: G+FF full lamination, Five points touch, IC：LU3102. Material: 1.3mm Asahi Glass, hyperboloid, hardness 6 ~ 7H, with Anti-fingerprint oil. Scratch resistant. Battery. Capacity:2.940 mAh.Type: Li-Polymer. Fast Charging: 5V/2A Quick Charge. Non-removable..
Internal storage. Capacity: 32 GB. Available Storage: 24.49 GB. (74%). SD slot up to 128 GB. Tested with Mixza Tohaoll 128GB SDXC Micro SD Memory Card. Cost-effective. 8.4 from 10 - pretty impressive regarding the actual low price. 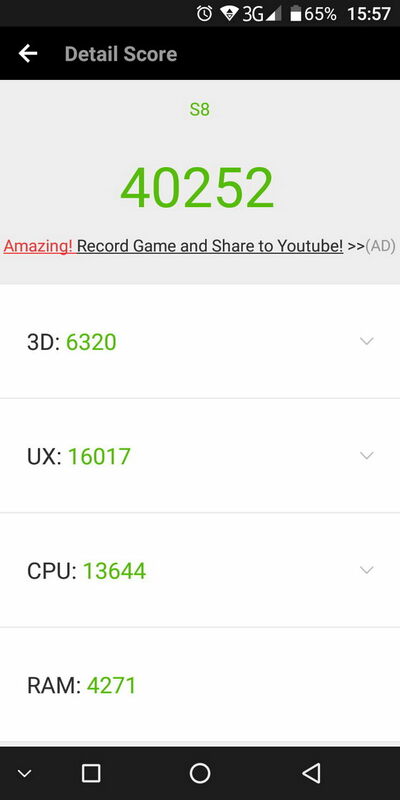 In Antutu Benchmark 6.3.6 LEAGOO S8 achieves a decent score, over 40.000 points. 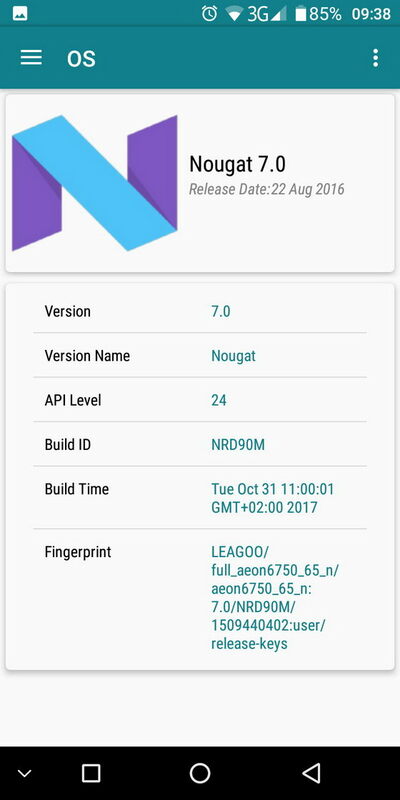 In Antutu Video Tester 3.0 LEAGOO S8 Phablet scores 567 points, a fair score in this test ranking. This firmware version fully supports 11 video & audio format files, it partially supports 6 video & audio format files and doesn’t manage to play correctly 13 files types. Wifi Internet speed tested gets also pretty good values: over 29 Mbps in download and the upload speed was also almost 37 Mbps. 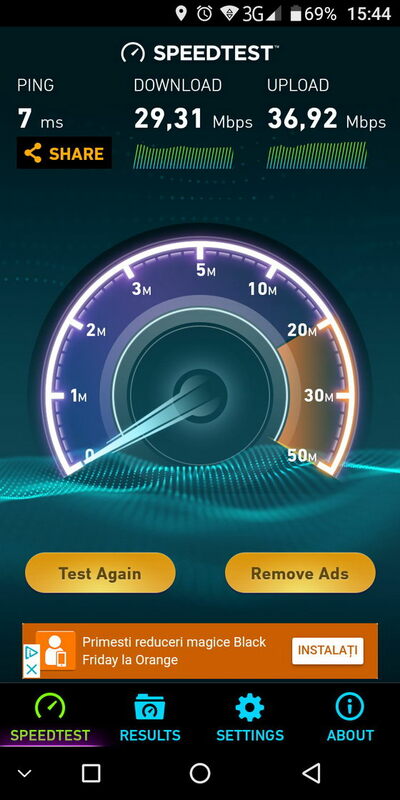 The router used in this test is Xiaomi Mi WiFi Router, mounted in another room. 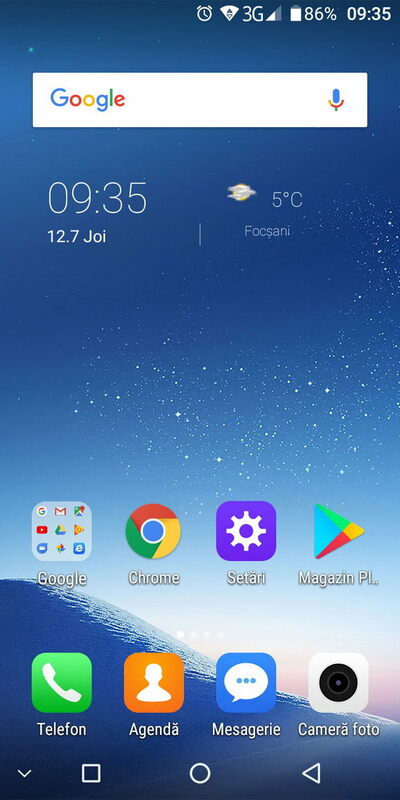 Android Nougat OS on the LEAGOO S8 Phablet runs very smooth - transitions, animations, apps switching and general OS fluidity is just great, I really like it a lot. During our tests, we experienced zero force closes, hangups or stability issues. Google Play and gapps are working without issue. 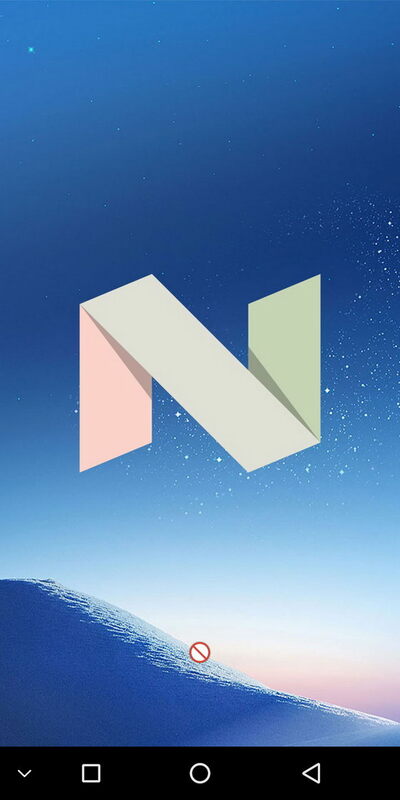 Google Play Services updated no problem. 3rd party apps downloaded and updated without issues. 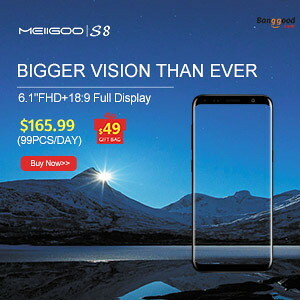 LEAGOO S8 Phablet has now an amazing affordable price and very good value for the money. 14. Leagoo S8: Unboxing & Review. 15. Leagoo Shark 1: Unboxing & Review. 16. Leagoo Shark 5000: Unboxing & Review. 17. Leagoo Venture 1: Unboxing & Review.